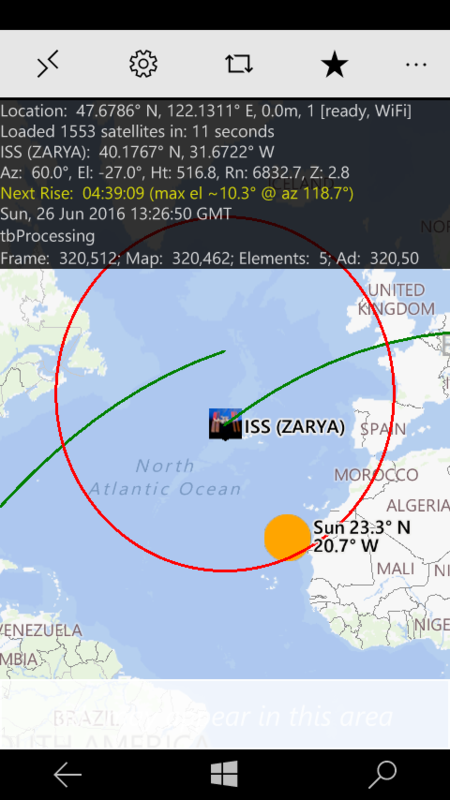 The Satellite Tracking features and guide information are described on this page. 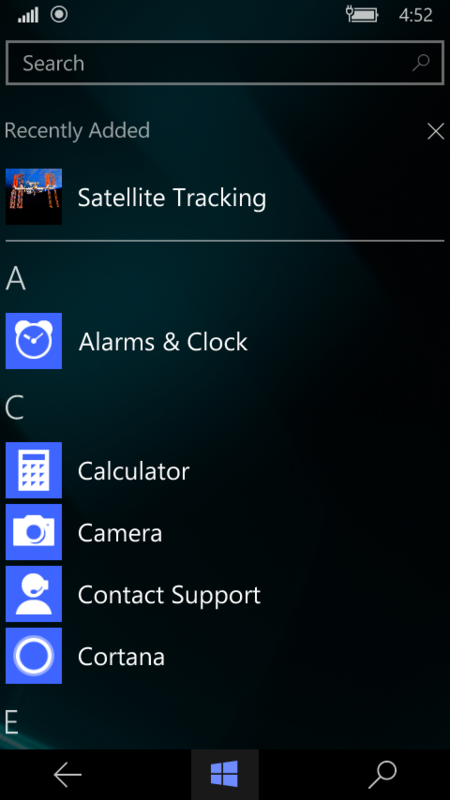 When the application is installed you will see it in the most-recently-used list and in the application listing dialog under 'S' - Satellite Tracking. 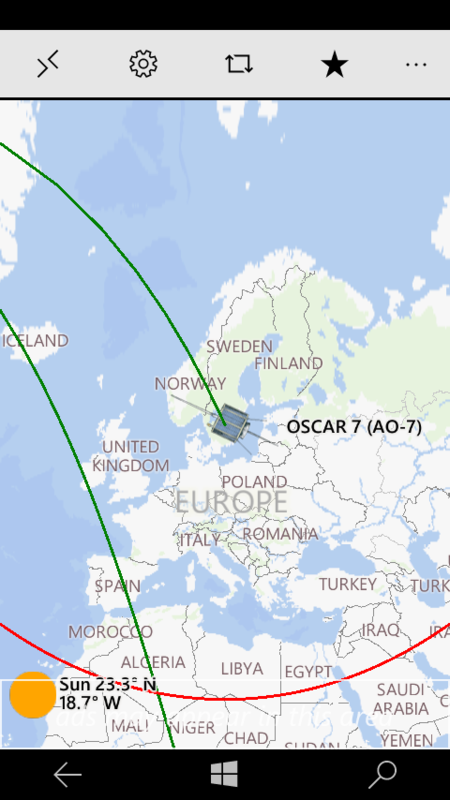 With the QTH versus DXCC Entity feature (Menu->DXCC), you can see how many DXCC entities your QTH has possible for a given satellite. A month's worth of calculations are performed across all DXCC entities and tallied up. Then, as you return to the map screen, the positive ones are shown in green and the negative ones are shown in red. As of February 18, 2018, there are 197 not counting Kosovo. 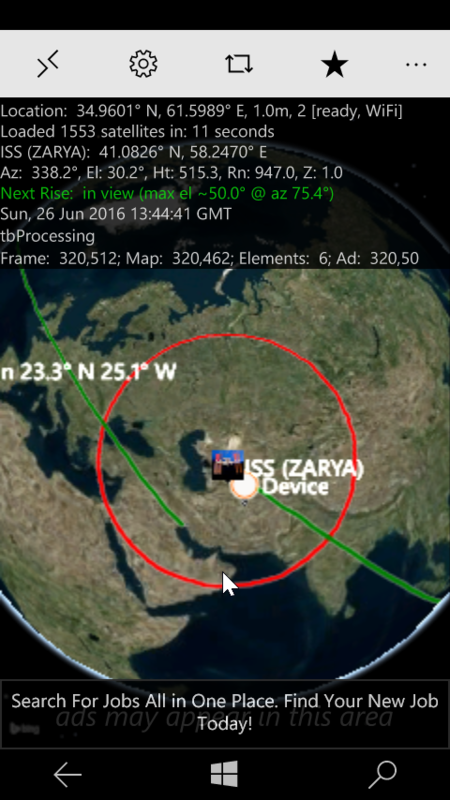 Can I track the planned Es'hailSat 2 now before launch? Yes, you can. We have loaded the application with the same Keplerian elements as EUTELSAT-25B, just search for "ES'HAILSAT 2" in the search field, or select it in the Satellite's amatuer or geosynchronous list. It has catalog # 99999. When is the planned launch of Es'hailSat-2? Es'hailsat 2 is suppose to launch November 14, 2018. What is the amatuer radio frequencies for Es'hailSat-2? What are the equipment requirements for Es'hailSat-2? Can I track the Sun? Does the sun orbit the earth? 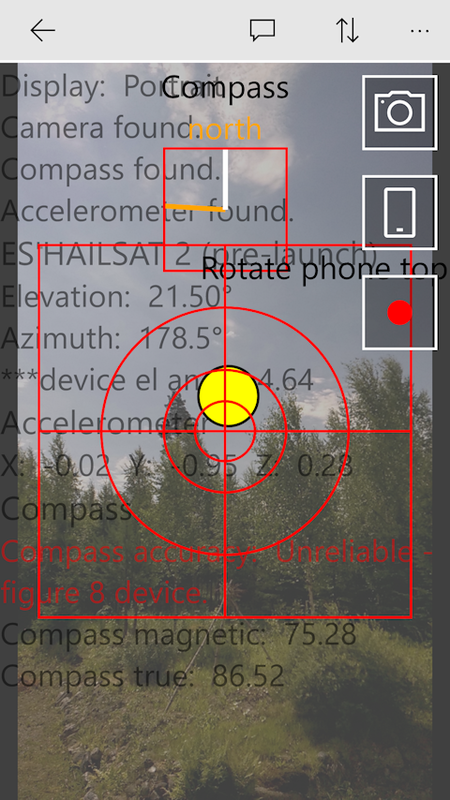 Yes, the application does show you the sun's location both in text form and on the map. We use a little trick emulating the sun does actually orbit the earth with a hand-crafted set of Keplerian elements. Does the application do augmented reality? Yes, the application does have augmented reality on Sky Locator page. Here you will be able to see where the satellite is located in the sky and find out if there are any potential blocking buildings or trees. Give it a try -- we would like feedback from our users on this page. Here is a pic from the emulator - we'll add some code to get a real pic. Are satellites in the atmosphere? Yes, some satellites orbit in the outermost layer of the atmosphere called the exosphere. The exposphere layer starts at about 6,200 miles (10,000 km) above the earth which is the top of the thermosphere layer. Molecules and atoms can escape into space from this layer. The thermopause area is located around 375 miles (600 km) above the earth just at the bottom of the exosphere layer. What is a satellite in space? A satellite is an ojbect in space that orbits or circles around a bigger object. There are two kinds of satellites: artifical (man-made such as the International Space Station (ISS) or natural such as the moon orbiting the earth. A satellite is an object in space that orbits or circles around a bigger object. There are two kinds of satellites: artifical (man-made such as the International Space Station (ISS) or natural such as the moon orbiting the earth. How many man-made satellites are in space? There are over 1,500 active satellites from many countries, both government and privately sponsored. There are also well over 3000 in active satellites. 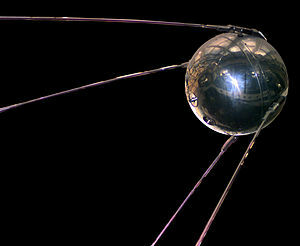 Russia launched the first satellite in 1957 - this satellite was called Sputnik 1. The oldest one still orbiting was launched in 1958. Distance between to locations supported? 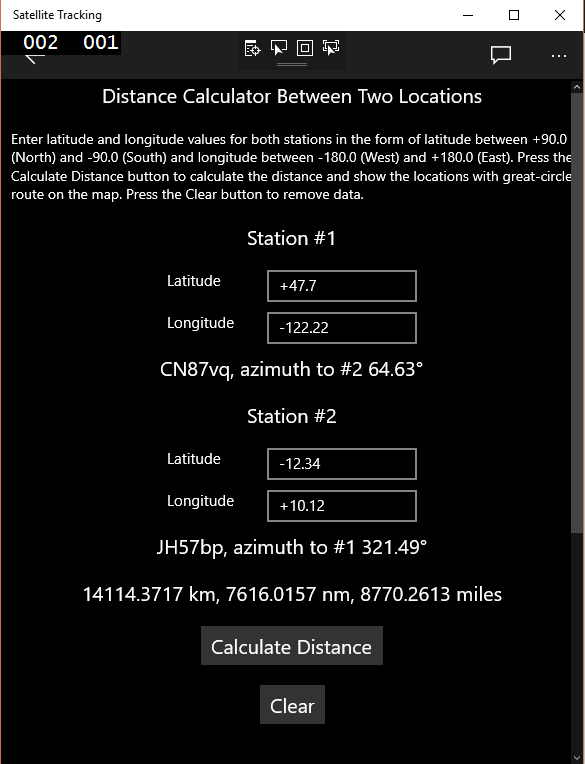 Yes, on the distance page, input the latitude and longitude. 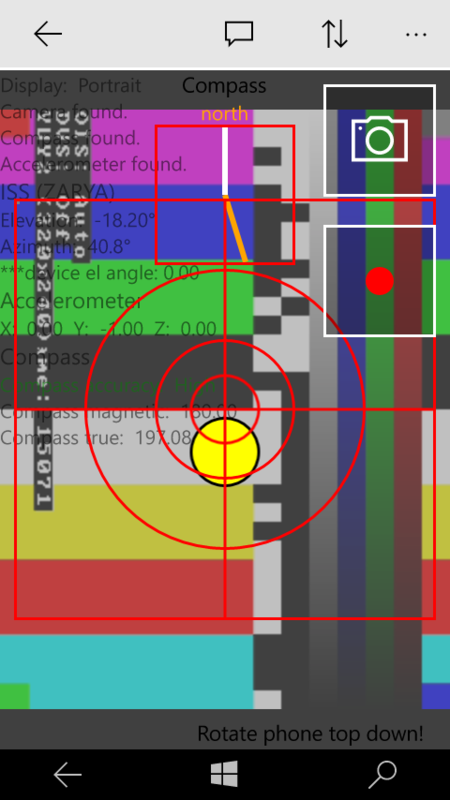 This is computed to maidenhead grid square and distance. 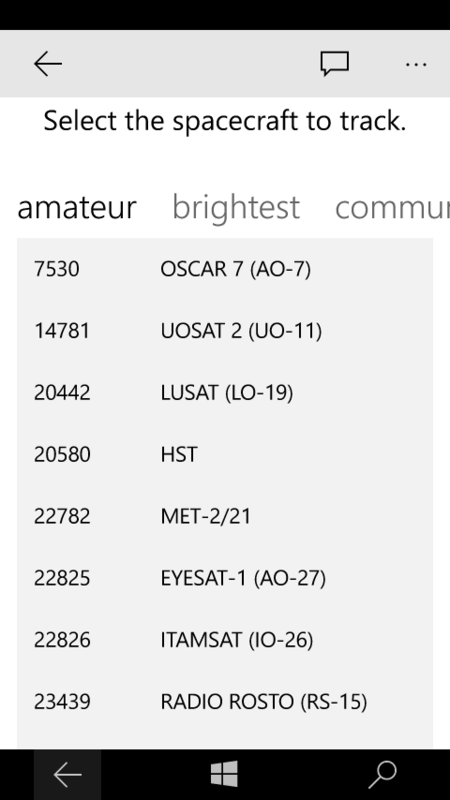 This feature can help you claim your new satellite dx record. Convert grid to latitude and longitude? 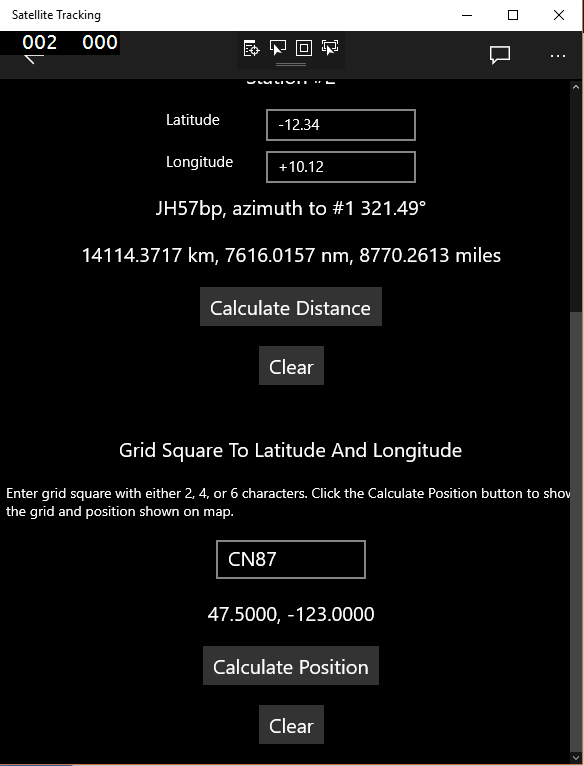 Yes, on the distance page, input the grid square and the latitude and longitude will be calculated. Can the map show the great circle route, maidenhead, and azimuth? 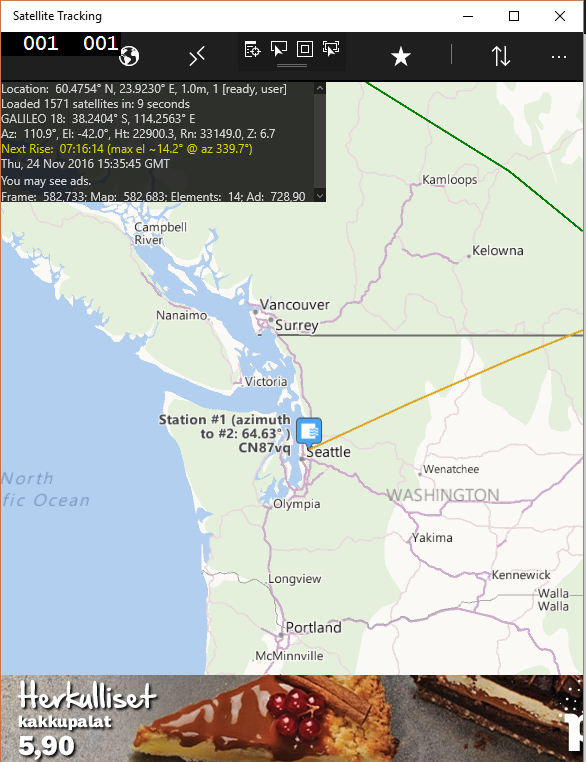 Yes, the map can show station #1's azimuth to station #2 and vice versa, plus the grid square in maindenhead coordinates. Distance is shown at mid-point. Can you show an azimuth-spider to aid in pointing my antenna? What direction do I point my dish? 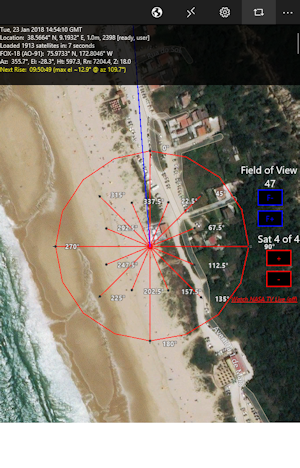 Yes, the map shows an azimuth-spider overlay. The overlay is easily seen as you zoom in closer to your location. This is a great aid for antenna and dish installers. 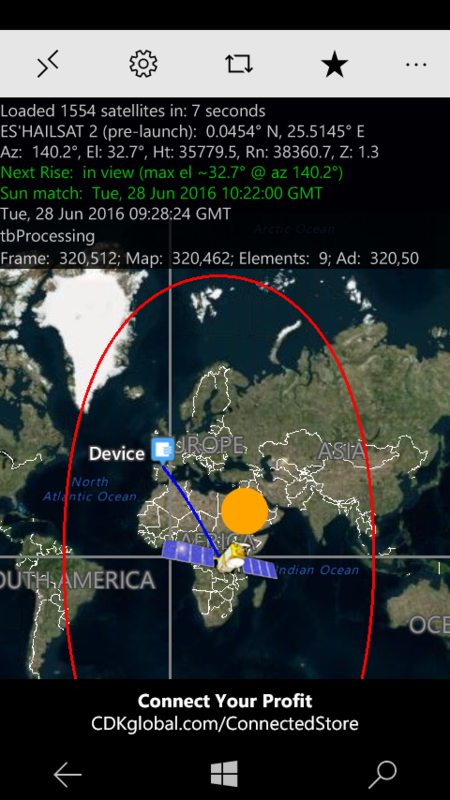 The Satellite Tracking application looks great on any device - PC, tablet, or phone. The application tracks: amateur radio, brightest, communication, earth weather, geo synchronous, navigation, new, old, scientific, and space stations. 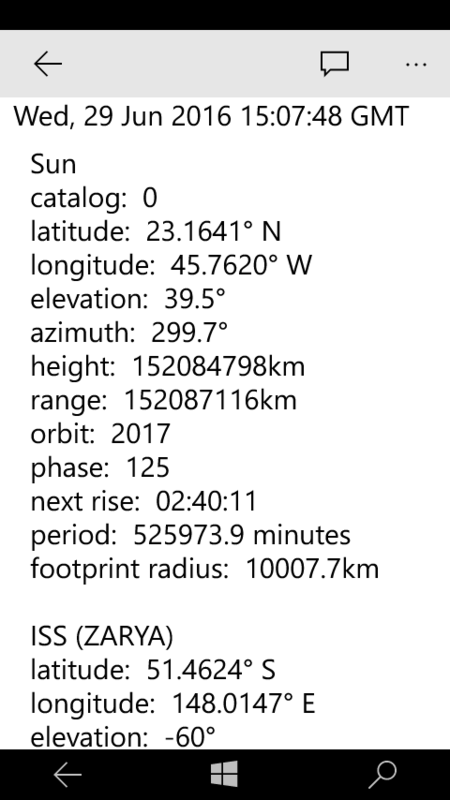 After selecting the satellite, calculations are displayed, you will be able to see the location details of the satellite per your location and footprint. 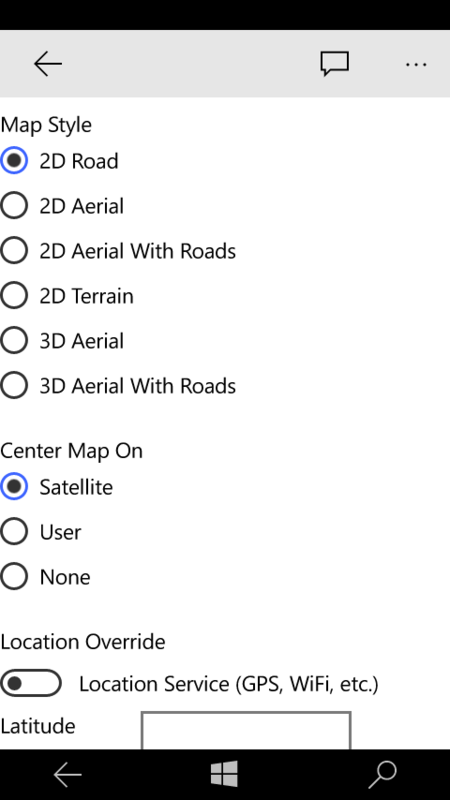 Many options are available for map (2D 3D), location, footprint, antenna direction, and more. With the 3D map setting, viewing the earth is in 3D.